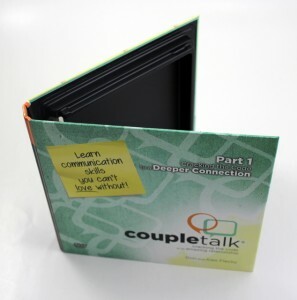 This Permavue™ album and many other like it benefit from our two main specialties: custom thermoforming and turned edge production. Perfect for literature, audio books, learning programs, music or self improvement, Permavue™ albums are a great solution for providing a high quality custom case at very large runs. With both hard cover production and in house thermoforming, each aspect of the case can be manufactured and put together under one roof. 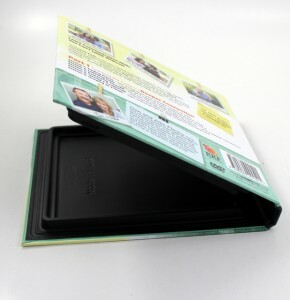 A feature seldom discussed that adds to this item is the functionality of the thermoformed tray. Not only does it offer extra protection and space for the contents, it also acts a closure for the entire piece, keeping it properly sealed shut to prevent damage, theft, and tampering.